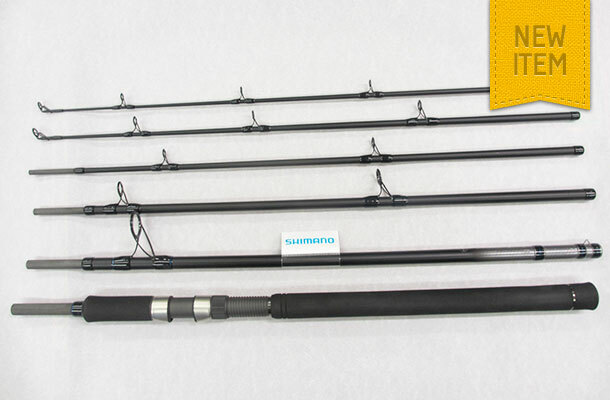 The 5 piece Shimano “Shore / Boat” is supplied with two tops so allowing it to be fished at either 3 metres (10ft) or 2.4 metres ( 8ft). The respective casting weights are 150grms – 300 grms and 28grms – 122 grms. Supplied with travel tube.